BESIDES shielding its user from the sun, a versatile new beach umbrella can be used as a walking stick, a vanity case, or part of a bathing costume. 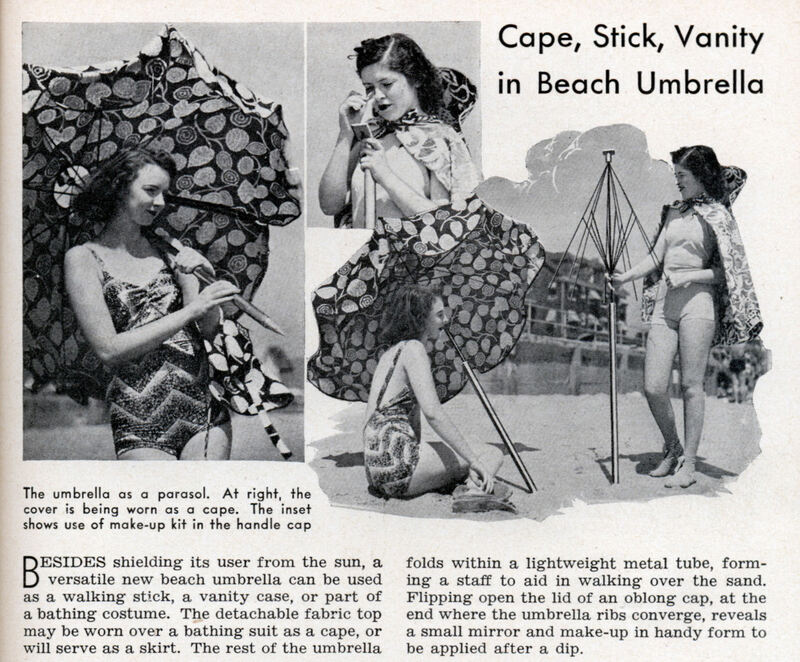 The detachable fabric top may be worn over a bathing suit as a cape, or will serve as a skirt. The rest of the umbrella folds within a lightweight metal tube, forming a staff to aid in walking over the sand. Flipping open the lid of an oblong cap, at the end where the umbrella ribs converge, reveals a small mirror and make-up in handy form to be applied after a dip. 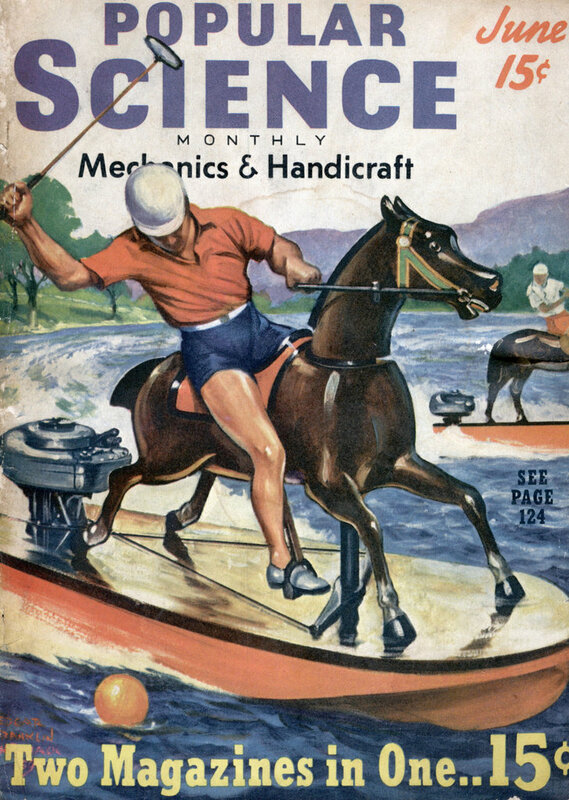 In other news, Popular Science finds a good reason to include a picture of a girl in a bathing suit in their June 1939 edition. Can be used as a set: intrepid hunter’s cape and vampire-killing stake in one.